This website has been produced by St Augustine's church and Locking Primary school as part of the project for the restoration of St Augustine's church tower in Locking. The project has been funded by donations, and grants from the Heritage Lottery Fund and local charitable trusts. Thanks to Gillian Jones for her articles about 'Locking through the Ages', and also for encouragement from the North Somerset Heritage forum. Locking village is in North Somerset in the West of England near Weston-super-Mare. The village is small but has a long and interesting history dating back to Roman times. The church contains a stone Norman font from 1100's, and the current church tower was built in 1380 making it nearly 640 years old. At least one of the church bells dates from that time and is among the oldest in the country still regularly rung. In 1680 Locking Manor supported the rebels and was on the losing side of the Monmouth Rebellion against King James II which ended in the nearby Battle of Sedgemoor. Nearly all the village land, buildings and farms were confiscated by the Crown and later became owned by the Merchant Venturers of Bristol. They used rent from the land they owned for funding voyages to America and the New World. It was not until 1910 that the houses and farms were returned to private ownership. Locking remained a small farming community until the 1930s when an airfield was opened on nearby Locking Moor and in 1939 a Royal Air Force training camp was built on the Northern side of Locking village. Thousands of RAF and overseas airmen were trained at RAF Locking over 60 years until the camp closed in 1999. Aircraft factories on the edge of the airfield at Oldmixon and Banwell produced aircraft during WW2 and later became a centre for the design and manufacture of helicopters. Locking's Helicopter Museum has a large collection of historic helicopters. The village grew with new houses during the 1950s and 60s. 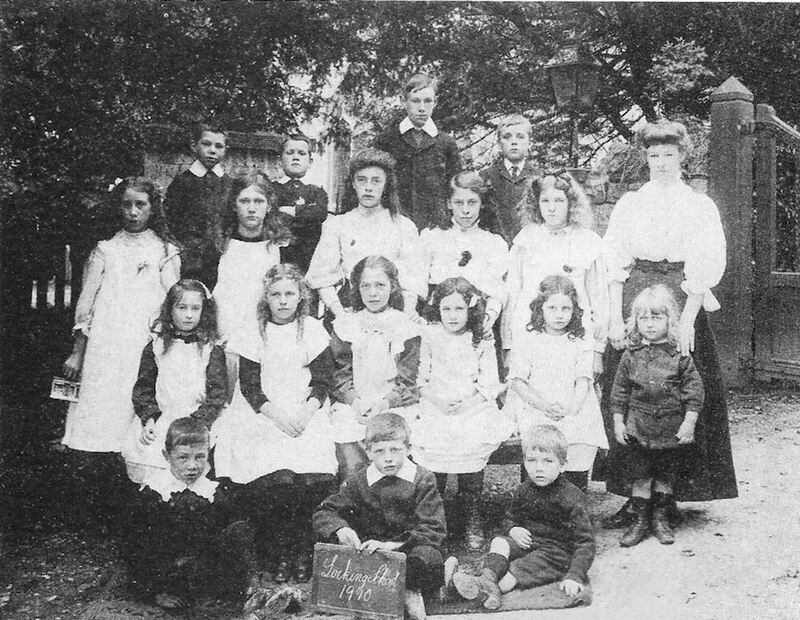 The school outgrew the Victorian school room next to the church and moved first to the RAF camp and in 1966 to the current school buildings. Today the camp and airfield are becoming housing estates, and Locking is almost swallowed up by growth of the nearby town of Weston-super-Mare. Despite this Locking maintains is own heritage which you can read more about below. The history of Locking includes the remains of a Roman villa, a medieval 'Motte and Bailey' Castle, and rebellion against King James II. In the 1890s it was still a small rural farming community. The lady of the manor Miss Gimmingham took photos of life in the village. St Augustine's church in Locking stands above a valley by the Mendip hills looking out to the nearby coast. There has been a church here for over 800 years. The church contains a carved stone Norman font from the 1100's and the medieval church tower has stood here since 1380. 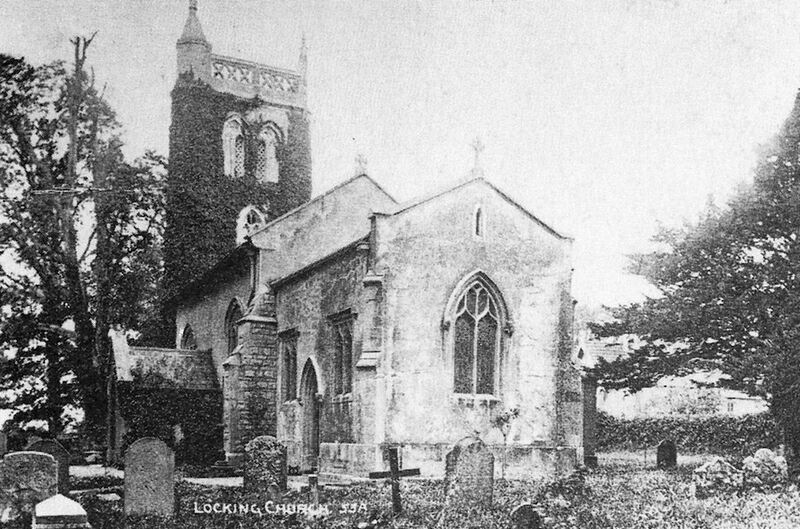 Locking school was originally in a single stone-built classroom by the church. 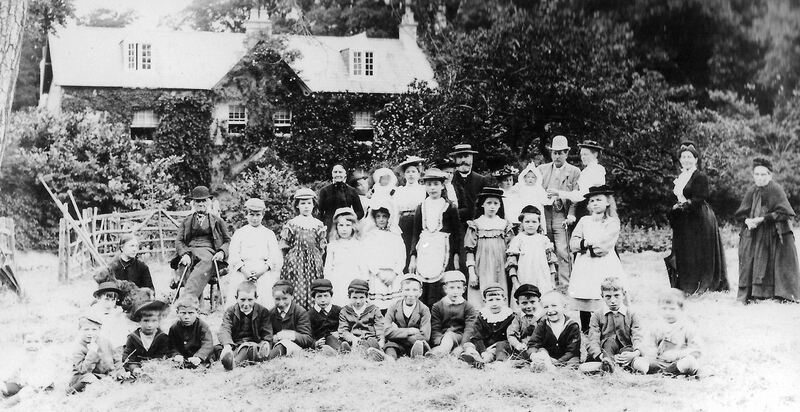 In 1910 there were 18 children and 1 teacher. The school grew with the opening of the nearby RAF camp and moved first to the camp and then back to the village in the 1960s to the current school buildings. 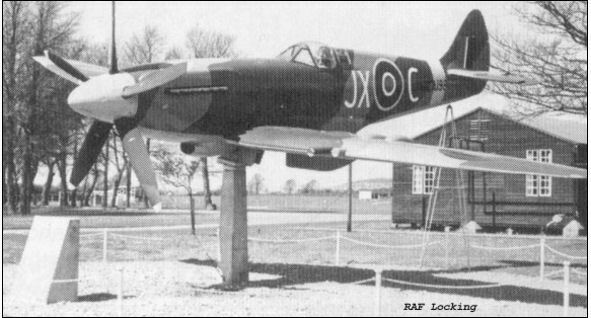 Royal Air Force Locking opened in 1939 as a training camp for aircraft technicians. It became the No.1 Radio school for radio and radar. Over 60 years tens of thousands of airmen and apprentices were trained at the camp before it closed in 1999. 2018 saw the 100th anniversary of the end of the 1st World War. Sapper Glimstead from Locking died in the trenches. 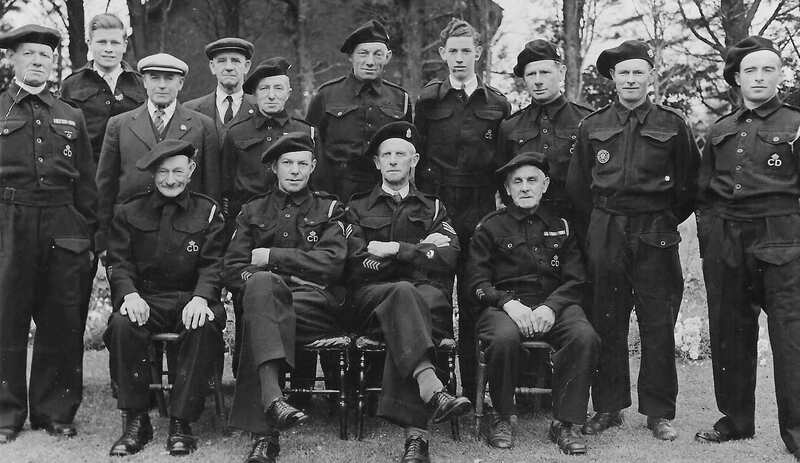 In the 2nd WW Locking had its own 'Dads Army' Civil Defence volunteers. Military aircraft were built in nearby 'shadow' factories. 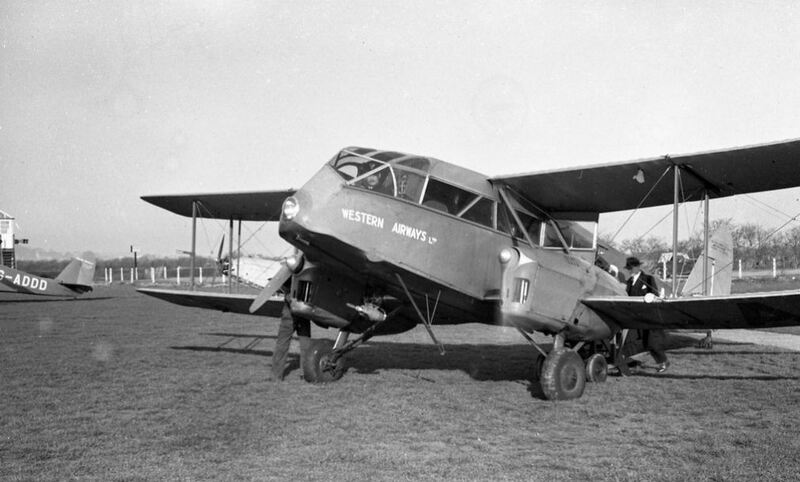 Weston airport was opened on Locking Moor in 1935. You could fly to Cardiff, Birmingham, London and even on to Paris. In 1950's it was used for helicopter design and production. The Helicopter Museum has a large collection of helicopters.